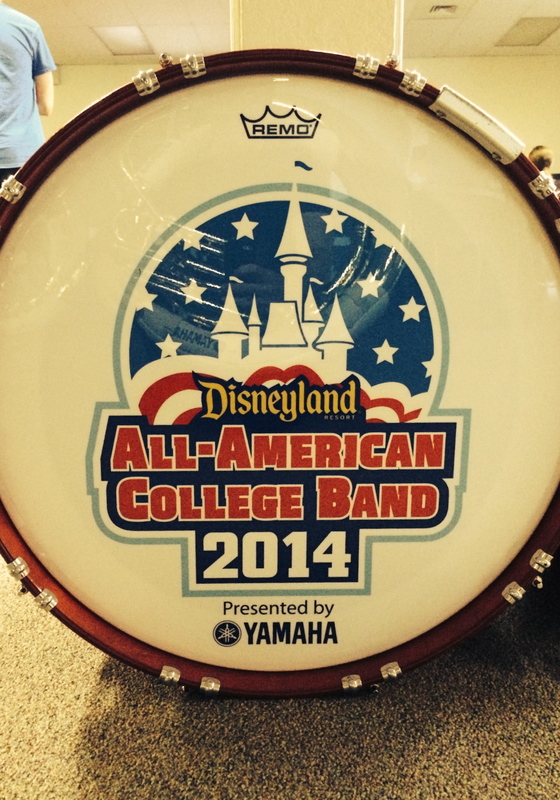 A few months ago I had the opportunity to audition for the Disney All-American College Band with a few colleagues from George Mason University. Among many qualified candidates, I was fortunate to be accepted into the program. Now it is 4 months after the audition, and I am in Los Angeles for the summer performing with the greatest musicians I have ever had the pleasure to work with. In the following posts, I will chronicle my experiences and hope to give some insight for future students auditioning into this wonderful program. Upon arrival in Fullerton CA (where our dorms are located at Cal State Fullerton) I moved into my room with 4 other members of the 21-piece band. After a few days of Disney orientation, we began our first day of a 2-week rehearsal period. The mornings began with a few hours of music rehearsal with Dr. Ron McCurdy. After the morning music session comes the rigorous 6 hours of choreography rehearsal. We are required to have the “book” (our music for 4 of the 5 shows of each day) memorized upon arrival in California. It is a daunting task for anyone but it can be done. After syncing the music with our newly learned choreography, the polished show is brought to the overnight rehearsal. This is the only time the band can rehearse in the park without guests being around. We arrive at Disney at 11pm, down some cups of coffee, and prepare to run and clean the shows in the park until 7am. After a much needed day off, we are onto our first performance! What has amazed me so far is the level of musicianship and attention to detail that each individual has displayed. Despite hours of rigorous rehearsal and focus throughout the day, we return home to our dorms weary and continue to practice, and refine. Our director, Dr. McCurdy always says “we are not perfect, but striving for perfection”. We will continue to perfect until our last day. This entry was posted in Disney AACB and tagged AACB, Disney, Summer Programs, Tuba by Andrew Dougherty. Bookmark the permalink.